The light, delicate quality of the French Rococo style was introduced in London during the 1730's, yet the French approach was not immediately adopted in England. The heavier and bolder style of the Williamsburg Rose looking glass reflects a late Baroque interpretation of French Rococo detailing, with acanthus leaves, vines, ribbons and flowers forming scrolls so often associated with this style of ornamentation. Found in the DeWitt Wallace Decorative Arts Museum at Colonial Williamsburg, this looking glass beautifully displays the heavier, earlier Georgian quality that distinguishes and separates English Rococo from that of the French. 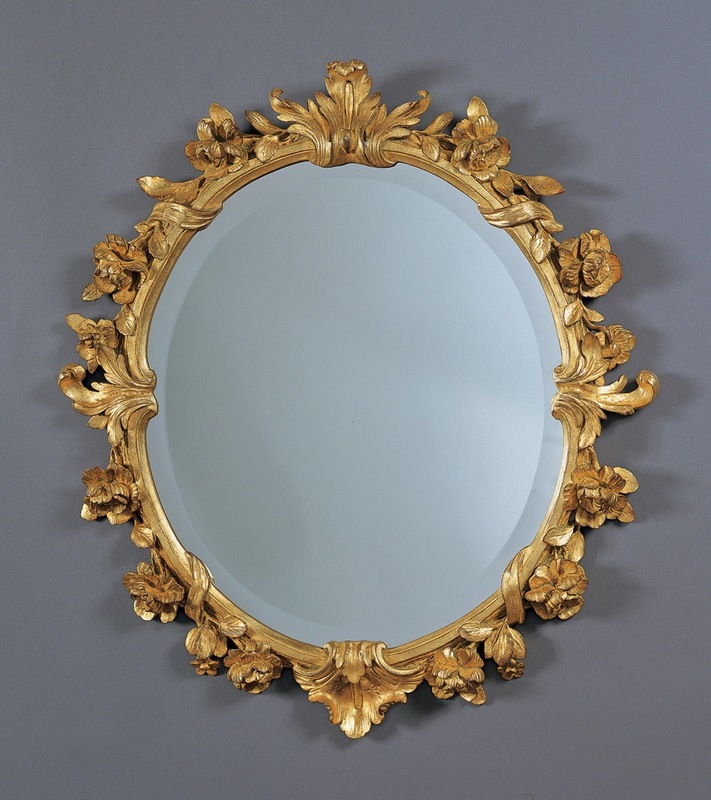 Shown here in antique gold leaf with a beveled mirror, the Williamsburg Rose is also available in a sterling silver leaf finish. CARVERS' GUILD licensee to COLONIAL WILLIAMSBURG.